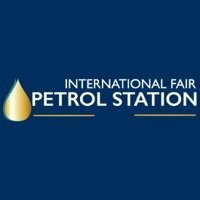 in the exhibition center Expo XXI in Warszawa/Poland the international exhibition for Petrol-Stations is taking place from 15th to 17th May 2019. 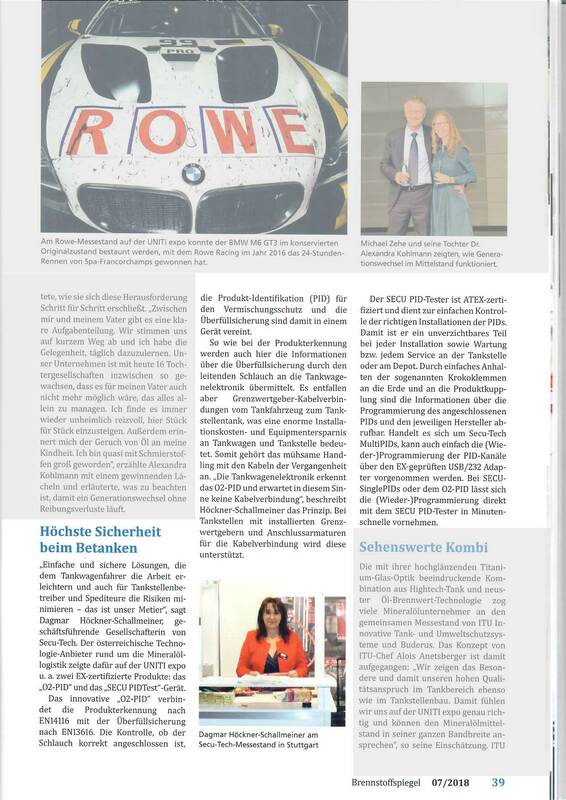 Extract from the „Brennstoffspiegel“ 08/2018: Efficient and safe solutions which facilitates the work of the drivers and help to minimise risks for hauliers and mineral oil companies – this is what we are focussing – Dagmar Hoeckner-Schallmeiner, MD of Secu-Tech is stating. The innovative Austrian company Secu-Tech, which offers solutions for mineral oil companies, have been showing at Petrotrans 2018, among other products, the following ATEX approved solutions: das,,O2-PID" and the „SECU PIDTester". 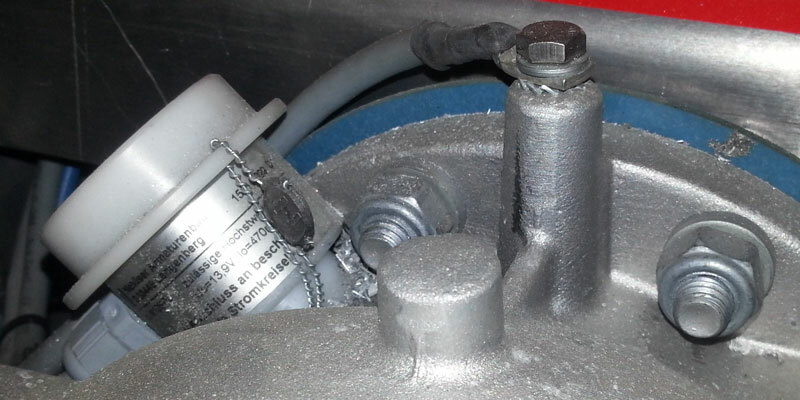 The innovative O2-PID is a productidentification device according to EN14116 combined with an overfill prevention device according to EN13616. 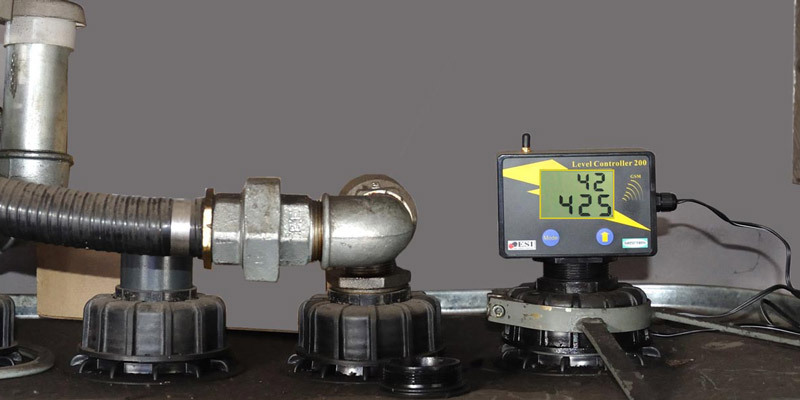 The control of the correct connected hose to the coupling, the product identification and overfill prevention are solved in 1 system. The SECU PID Tester is an innovative tool for installers to check installations according to EN14116 immediately after installation and a perfect tool for maintenance activities. Secu-Tech welcomed technical staff from HMK Bilcon Aalborg/Denmark for technical product trainings at Secu-Tech on 13th and 14th February 2019. 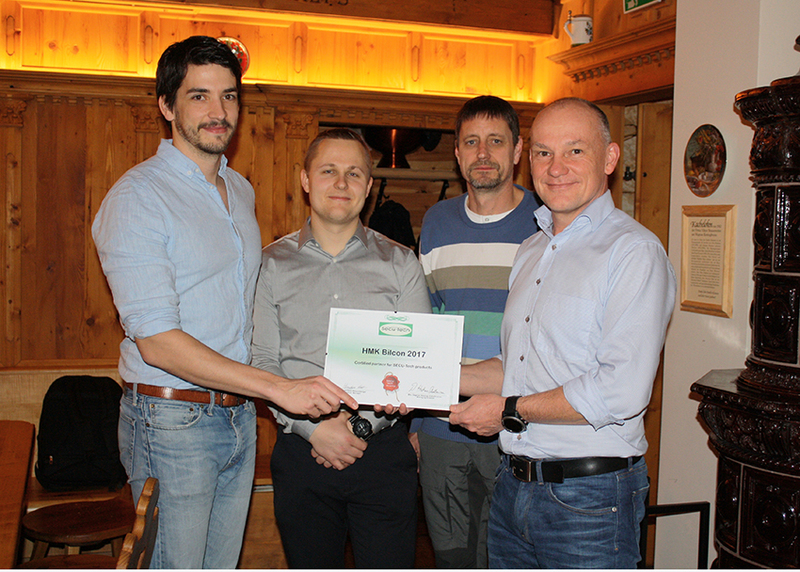 All products and solutions for tanker-trucks have been trained by our Product Manager – Eng. Herbert Heissenberger. All important product news have been discussed added by application examples. The pictures shows the hand-over of the certificate „Certified and Trained Partner from Secu-Tech“ by our Product Manager to the participants of the training. 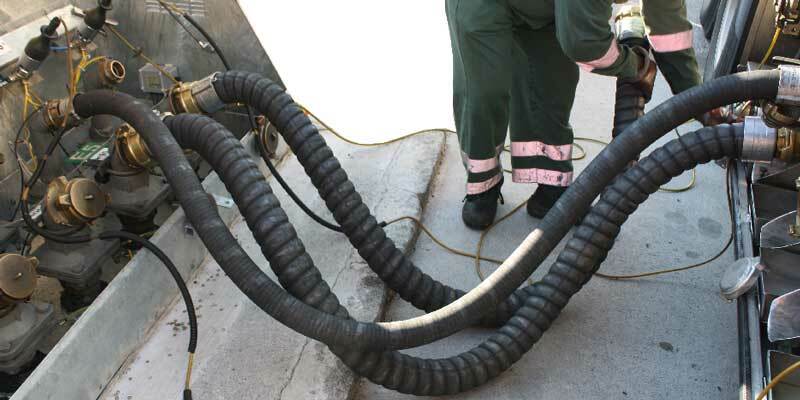 SECU-TECH offers different kinds of fill- and overfill-prevention systems – wireless and wired - for loading and unloading of tanker-trucks for mineraloil-, gas-, chemical- and petrochemical industries, as well as in other industries (for example food industry). 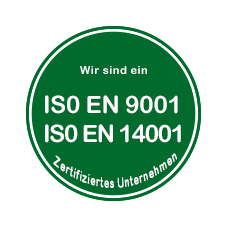 All systems are according to the latest standards and regulations and are built for use in EX- and non-EX areas. 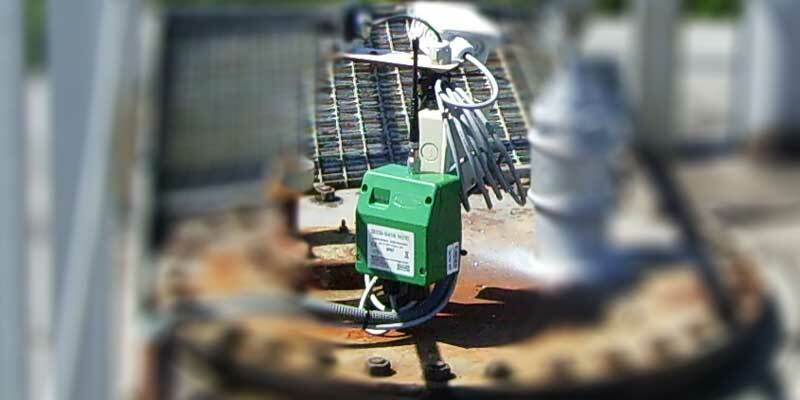 SECU-TECH offers wireless fill- and overfill-prevention systems for ship-bunkering as well as for loading and unloading of tanker-ships. All systems are according to the latest standards and regulations and are built for use in EX- and non-EX areas. 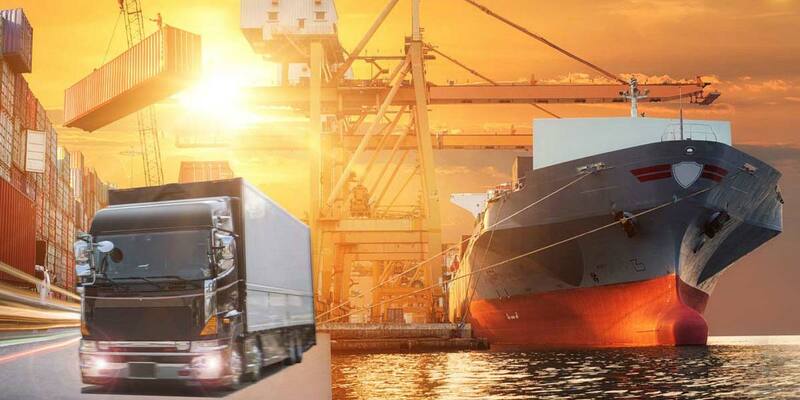 SECU-TECH offers comprehensive solutions for safe and efficient fuel distribution, such as cross-fill-prevention-systems and electronic overfill-prevention systems for complete logistic chains of mineraloil companies – for depot loading arms, tanker-trucks and petrol-stations. 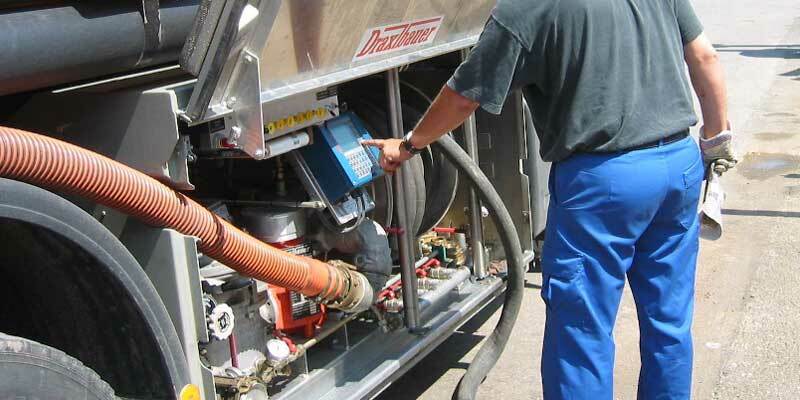 With these solutions crossfills into the compartments of the tanker-trucks as well as crossfills and overspills into petrol-station tanks is avoided. The systems are offered with comprehensive tracking solutions and mapping including graphical displaying on a digital map. SECU-TECH offers wireless data-transfer-systems for different industrial use and sensors for EX- and non-EX areas as well as industrial data-management-software. In level gauging SECU-TECH offers special wireless data-transfer for different kinds of level gauging with data-management. SECU-TECH offers wireless dead-man systems for EX- and non-EX applications.